If I were a film character, who would I be? 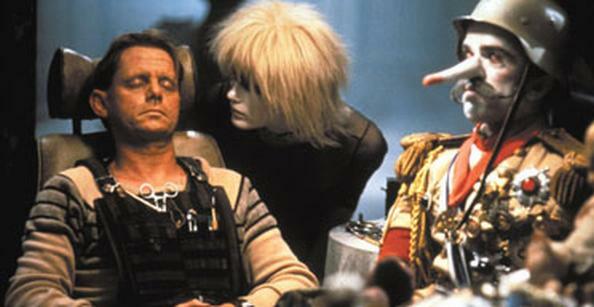 I’d be JF Sebastian from Ridley Scott’s dystopian sci-fi vision of the future, Blade Runner. I first saw this film when I was a teenager, and the question that runs through it – ‘what is real?’ is one that has excited me creatively and philosophically ever since. JF Sebastian is a hopeless loner, like me. He is socially awkward, like me, and again like me he prefers the company of those friends he has made for himself. Of course, my friends, in that sense, are characters in my novels rather than genetically engineered creatures, but I think my point still stands. Who’s to say that in some different universe I am not a genetic engineer doing exactly that? In this world, however, I am a writer. And because I am a writer, and my creations cannot physically exist in this world with me, I have one great advantage over JF Sebastian. My characters cannot blame me for what befalls them. Unfortunately for JF Sebastian, however, his creations are alive; and his greatest creation, Roy, comes back to kill him –by killing his creator acting out a metaphor for the inexcusable human hubris of ‘killing God’. But was JF Sebastian ever truly God? Clearly not, although, certainly in Roy’s eyes, he obviously seemed to have usurped the divine power of creation. Poor JF Sebastian. Perhaps he did not truly understand the implications of the work he was doing for the Tyrell Corporation. But when do any of us really get the chance to comprehend the full significance of the things that we create? If we could see that, perhaps we would be – almost – godlike. But would we ever choose to create anything? Or perhaps JF Sebastian did know, and knew better than anyone else in the film (he is supposed to be a genius, after all) – and chose creation anyway. Publish and be damned, they used to say in the book trade. In his case, perhaps it was always going to be a case of publish and be killed – but to die at the hands of his greatest triumph was perhaps not so bad an exit.